Schlectendal: Hort. Hal. 1: 6. 1841. Solanum maglia (maglia is a Latinization of the native name for this species) is a South American species, found primarily in Chile, but also in one location in Argentina. It is a low-elevation, primarily coastal species. It is the only wild potato that has a significant distribution in Chile. According to Brucher (1990), S. maglia was the first wild potato species to be described. It is sometimes known as Darwin’s Potato, but it isn’t clear if Darwin ever saw this species, as there has been confusion between this species and Chilean S. tuberosum varieties. Luthur Burbank wrote about results from crosses between this species and S. tuberosum that aren’t consistent with what we would now expect. The other common name for this species, papa cimarrona, is also applied to the yam species Discorea brachybotrya. S. maglia might have been used as a food plant in the past and possibly even currently by the Araucarian natives of Chile. Unfortunately, the evidence for this is not particularly clear. 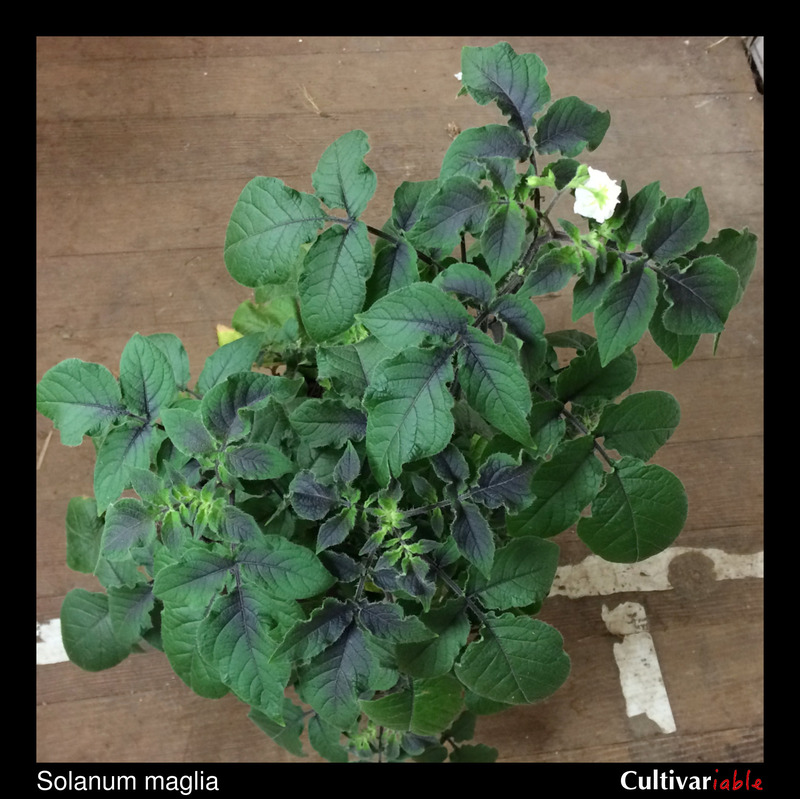 It is possible that Chilotanum type potatoes have been mistaken for S. maglia. The relatively high level of glykoalkaloids in this species should cast some doubt. Both diploid and triploid populations exist, but triploids appear to be more common. As is usually the case, the triploids are effectively sterile. This is an interesting puzzle. Autotriploids, formed by the fusion of an unreduced gamete and a normal gamete, are unusual in potatoes due to endosperm problems. The existence of triploids would seem to suggest that there is a population of tetraploids somewhere or that the triploids were produced by hybridization with another species. It is possible that tetraploids once existed and have gone extinct, leaving the triploids as a remnant. Spooner (2012) evaluated S. maglia to determine whether it might be a progenitor of the Chilotanum group of potatoes and declared the evidence inconclusive. 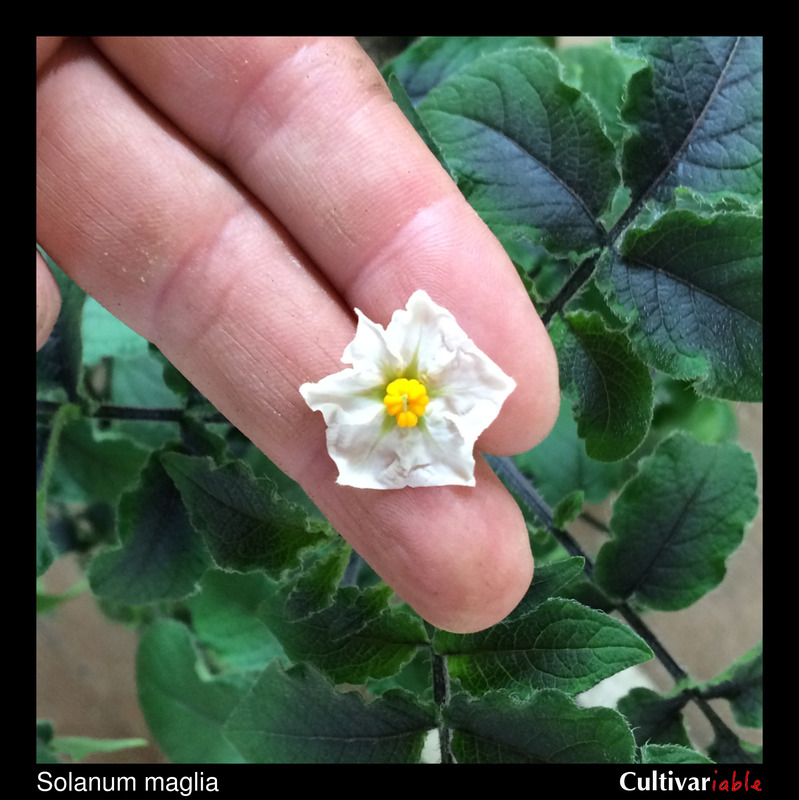 Genetically, it groups with Chilotanum potatoes, so it probably has played at least a small role in the evolution of Chilotanum. Volkov (2003) suggests that S. maglia may have originated as an allotriploid by the combination of S. microdontum and S. acaule or a closely related species. It isn’t clear how this idea accounts for the presence of diploid populations. Unfortunately, S. maglia appears to have little genetic diversity remaining. There are few populations in the wild and most are triploid and sterile. Weinheimer (1966) found that S. maglia was a particularly effective rootstock for forcing flower production in the variety Russet Burbank. It produced more flowers and berries than other rootstocks tested. S. maglia has A type cytoplasm (Hosaka 1986), which I find extremely interesting considering that the only other group with that type is tetraploid Andean potatoes. Even though they are geographically discontiguous, that would seem to suggest that S. maglia either once had a range that overlapped with andigena potatoes or resulted from an early cross with a wild species after andigena potatoes were introduced to lowland Chile. I have not read anything about frost resistance in this species, but it appears very frost resistant to me. Mature plants have survived hard frosts outdoors that killed most other domesticated and wild potatoes. S. maglia contains solanine and chaconine, just as do common domesticated potatoes. Distl (2009) found a level of 144 mg/100g for this species, which puts it far outside the safe zone for edibility. Johns (1990) listed a level of 56mg/100g, but the accession tested was later reclassified as S. tuberosum. 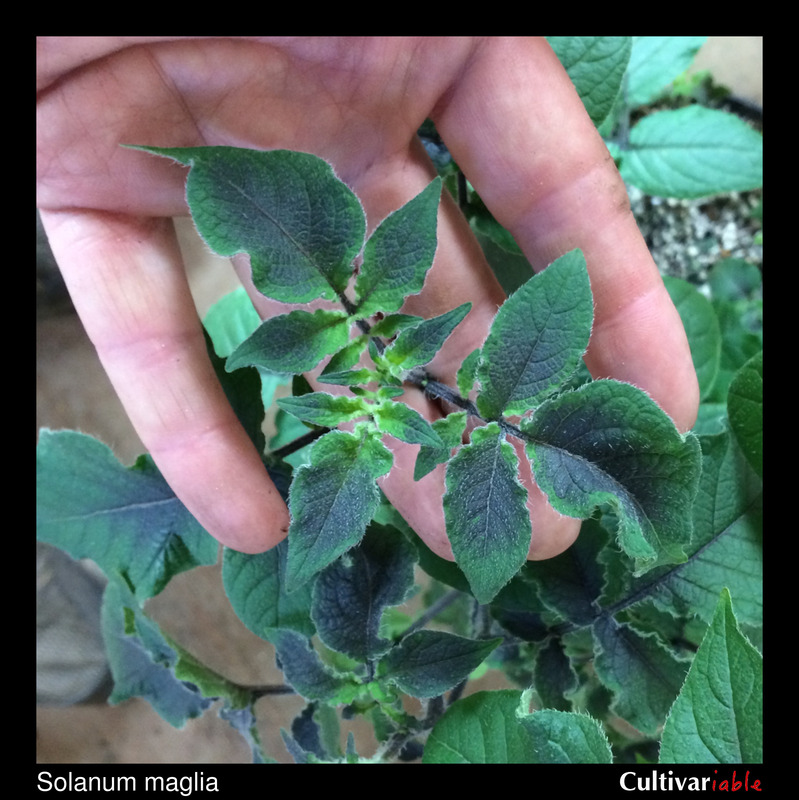 Solanum maglia grows along the Chilean coast, where the climate is cool and foggy, but not necessarily high in precipitation. Accounts about the drought tolerance of this species vary. It grows well with drip irrigation. Even the diploid collections of this species are poor pollen producers (Brucher 1990), so seed production may be difficult. In 2017, we grew out seed from a packet dated 1996 and obtained 98% germination, so this species appears to have excellent long term viability. Sutton (1909) described making hundreds of crosses of S. tuberosum to S. maglia before obtaining a single hybrid. Luthur Burbank (1915) crossed a plant that he described as S. maglia with S. tuberosum, producing a plant he described as a “pomato,” which produced large tomato-like edible fruits. His description is not consistent with S. maglia and may have just been Chilean S. tuberosum.